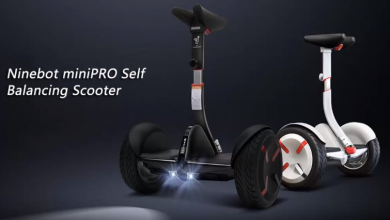 Home>Featured>10 Best Chinese Electric Scooters that are trending in 2019! Concerns of the rapidly diminishing levels of irreplaceable fossil fuels have prompted people to look for cleaner alternatives that are eco-friendly. One such option that is economically viable and already hit a buzz among commuters is the niche of electric scooters. They’ve become both a fashion statement and also a good affordable mode of transport. To know of the various innovations brought about in this market, here’s a list of the Best Chinese Electric Scooters 2019. Manufacturers from China are key leaders who have shown all the zeal to develop products that fit into this market and it isn’t any wonder if they aren’t the leaders in this small and emerging sector. This list of the Best Chinese Electric Scooters includes products that have been on the market for a while and are the best made available till now from Chinese companies. 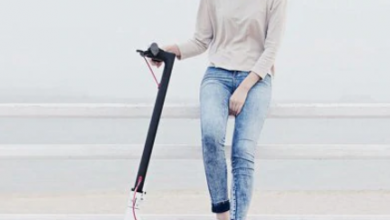 Our Picks: Best Electric Scooter from China that are a Fashion Statement! The Ninebot Segway ES2 comes with a basic foldable design that has two wheels. The impression of the ES2 is made by the performance in a seemingly innocuous looking device. The cute scooter comes with dual shock absorbers to navigate all sorts of terrains. The top-grade tires that are present in the Ninebot Segway ES2 help in driving the all-terrain usability. The ES2 has a powerful 700W battery that allows it to reach speeds up to km/hr. An efficient Li-ion battery allows 25km to be travelled in a single charge. Apart from the built-in battery, an additional battery available as an extra purchase can also be attached for a total of 45km that can be traversed in a single charge. The driving point of the ES2 is its simple minimalist design. The limitations that Xiaomi has done on the design doesn’t extend to the functionality of the device and that is why it earns a sweet spot among the Best Chinese Electric Scooters. Buy Ninebot Segway ES2 Folding Electric Scooter from Xiaomi Mijia for $540.79! The DYU D3 is a lot more impressive in terms of color than the bland minimal design of the Xiaomi Mijia ES 2. With a lot more expendable battery than the ES2, the DYU D3 can be a companion for 80 kilometres. Long rides are made a breeze with the subtle designs made with such users in mind. The dual shock absorbers, the padded cushion all make the DYU D3 a lovely tool to explore around without a feeling of loneliness. Eventually, the DYU D3 makes a mark with those who do go out for a new event or the other. Buy F – wheel DYU D3 on gearbest for $539.99! Also Read, Best Xiaomi Mijia Products You Wish You Knew Earlier! Another of Ninebot’s the devices, the ES1 mirrors the kind of minimalist look seen in the ES2. it has a similar kind of braking system and the shock absorbers are also kinda the same. But that’s where the similarities end. The ES1 isn’t much of an all-terrain vehicle. It provides a smooth drive on surfaces like asphalt which have minimal cracks as part of the design in a garden’s footpath. Apart from the smooth drive in all terrains, the ES1 still shines as a good electric scooter. With an application installed on your smartphone, the ES1 can be locked or unlocked using Bluetooth. This helps to avoid the scooter from being stolen. The ES1 also allows users to employ different modes that gives them a gratifying customized user experience. Buy Ninebot Segway ES1 by Xiaomi on gearbest for just $325.99! The precursor to the DYU D3, the D1 is the first of many foldable scooters developed by this company. While it doesn’t look as sporty and elegant as the D3, it tries to emphasise that looks aren’t the only factor like many others on this list of best Chinese electric scooters. The D1 offers higher speed than that of the D3. With a maximum of 30 km per hour, it allows you to reach the destination faster. The saying ‘With great power comes great responsibility’ has a lot of impact here. The D1’s battery life doesn’t suit the swiftness it can move with. The tiny battery provides a meagre 15 to 20 km, of which the value varies inconsistently. The D1 acts as a good alternative for short solo trips instead of chugging the car along and emitting dollops of carbon dioxide. Buy F – wheel D1 DYU Electric Bike for just $369.99! With a small size and an adjustable saddle length, the HIMO V1 is developed with an idea to provide a smooth experience for people of all ages and heights. The V1 meets that goal in all fronts. The adjustable saddle length helps people who don’t fall into the average height bracket to have a comfortable ride without any worries. The V1 is one of the longest lasting batteries available for an electric two-wheeler vehicle currently available in the market. It can travel for 50 km on a single charge. It can also be used even then with an option for manual pedalling also available. Coming to the maximum speed attained, it can’t be asserted due to the manual feature also made available. The V1 is a wonderful electric bike that also can be used as a manual one when in the mood for a cycling session instead of going to the gym for some cardio. Buy HIMO V1 Folding Electric Bike for just $479.99! 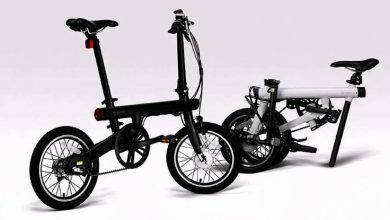 Looking away from the widely used model of folding the bike, Guangya Y1 looks to provide comfort for the users. Instead of confining the dimensions, the Y1 has adjustable handles and saddles to house different sizes of riders on the vehicle. 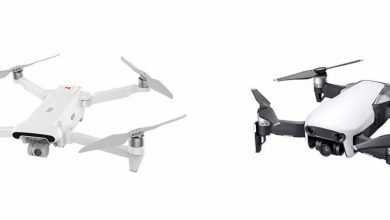 The different sizes that can be adjusted to with the Guangya Y1 allow more users to own the vehicle without searching for issues in size. It also had a good speed limit and a fine battery life. Buy GUANGYA Y1 Folding Electric Bike on gearbest for just $369.99! With a kinetic energy system that converts back some of the mechanical energy back to electric energy, the energy is even more conserved for the M1. Trying to woo customers using an extra edge of eco-friendly tech is how they market themselves. The M1 also has other tech functions to protect the scooter. Some of them include protection from short-circuits, low-voltage, over-discharge, overcharge and temperature anomalies. Such sophisticated implementations help the M1 to be functional longer with lesser use of malfunctions from within the scooter. Buy Alfawise M1 Folding Electric Scooter on gearbest for just $369.99! Also Read, Xiaomi M365 Electric Scooter for just $389.99 – Ultimate Price Drop! 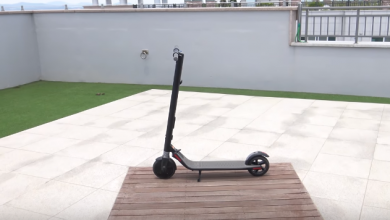 Just like how Xiaomi has a trademark of providing simplistic features at a small price, the Xiaomi M365 follows that in the case of electric scooters. With no huge decorations like shock absorbers or multiple modes of usage, the M365 offers to be an entry-level electric scooter for those who want to make eco-friendly choices, at slow levels. Buy Xiaomi M365 Folding Electric Scooter on gearbest for just $429.99! Fit for the beginner to the electric scooter market, the L8F has enough space for both feet to be kept. It is a scooter that is meant for all, but with beginners to heavily profit from the way it is built. Even though the L8F is lightweight, it is really durable and can hold the load of most people. The simple operation of the L8F makes it easy to use. The L8F is built in a minimal manner to reduce the weight of the scooter, but it doesn’t take away any of the protection features. The light weighted chassis without any extra embellishments allows the shock absorbers and the thick tires to be added without any extra impact on the overall weight of the scooter. Buy INMOTION L8F Mini Folding Electric Scooter on gearbest for just $599.00!